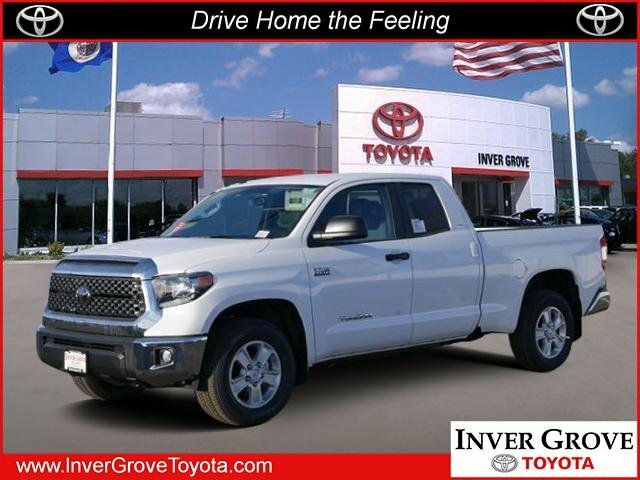 Scores 17 Highway MPG and 13 City MPG! This Toyota Tundra delivers a Regular Unleaded V-8 5.7 L/346 engine powering this Automatic transmission. Wheels: 18 x 8J Styled Steel, Wheels w/Silver Accents w/Hub Covers, Variable Intermittent Wipers w/Heated Wiper Park. 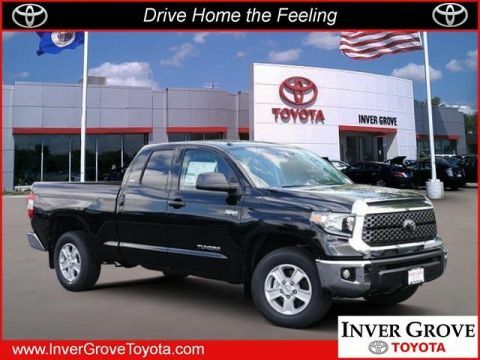 *This Toyota Tundra Comes Equipped with These Options *Trip Computer, TRD Shift Knob, Transmission: Electronic 6-Speed Automatic w/OD -inc: intelligence (ECT-i), sequential shift mode, uphill/downhill shift logic and TOW/HAUL mode, Transmission w/Driver Selectable Mode and Oil Cooler, Toyota Safety Sense P, Tires: P255/70R18 AS, Tailgate Rear Cargo Access, Systems Monitor, Steel Spare Wheel, Splash Guards. * Stop By Today *Test drive this must-see, must-drive, must-own beauty today at Inver Grove Toyota Scion, 1037 Highway 110, Inver Grove Hts, MN 55077.